Boho brides, rejoice and get ready for some impossibly beautiful wedding dresses! GALA by Galia Lahav Bridal Collection No.4 has it all — incredible detailing, unique styles, and trendy silhouettes that feature both bohemian and contemporary cuts with a sophisticated vibe. This is one stunning collection that’s guaranteed to take your breath away! View the entire GALA by Galia Lahav Collection NO. IV in the FULL GALLERY. Please contact Galia Lahav for authorized retailers and pricing information. 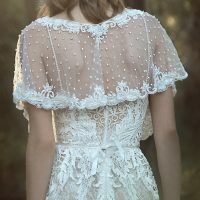 Hey, friend, I want to help you find the wedding dress of your dreams, so I had put together an edit of the best bridal gowns out there. Visit my Wedding Dress Gallery, right here.